Electronic DJ Marshmello made history last night, becoming the first musical artist to hold a live virtual concert inside battle royale game Fortnite. The DJ (who’s a Fortnite enthusiast himself) tweeted that more than 10 million people attended the virtual event this past Saturday, during which he played a 10-minute live set on a custom digital stage, with accompanying custom graphics (like the one seen above). For those curious about the nuts and bolts of attending an entirely-virtual concert, here’s how it went down. Normally, players who log in to Fortnite are transported into a battle royale match to duke it out to the death. 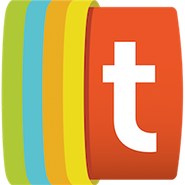 But at 2 p.m. EST, an option popped up offering a special game mode. When players launched that mode, Fortnite dropped them off at in-game location called Pleasant Park, where Marshmello was set up and ready to jam. While millions may have attended the concert, that doesn’t mean millions of in-game avatars were crowding one another for space. Like with the usual Fortnite game mode, the concert mode had a limited number of players (in this case, 60) per session, per The Verge. Unlike the usual game mode, though, for the concert mode, weapons were disabled, so folks could enjoy the tunes without worrying about being on the wrong end of a rocket launcher. And no worries for folks who weren’t able to attend the event (or its encore on Sunday) — Marshmello uploaded the full set to YouTube, where it’s since garnered nearly 12 million views and is No. 4 on YouTube’s Trending at press time. 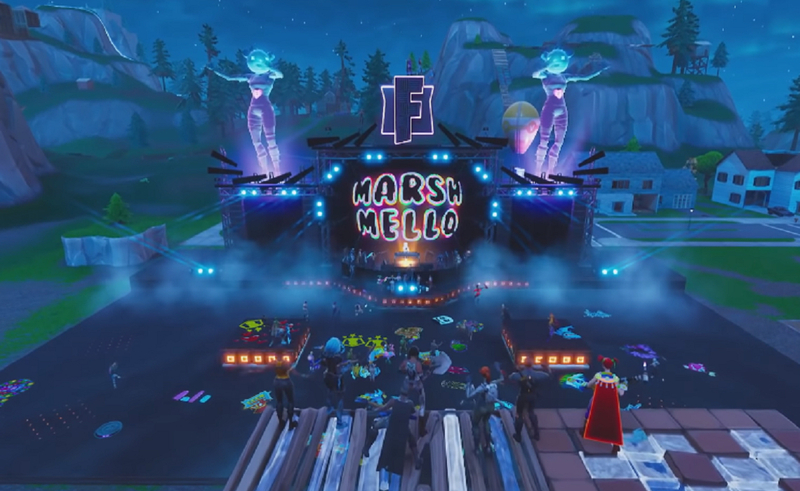 As the BBC points out, Marshmello’s concert is a first for Fortnite, but virtual livestreamed concerts have been offered in video games for years. Minecraft held ‘Coalchella’ (a play on real-life Coachella) in 2018, and, in 2013, hosted a live festival put on by electronic dance music label Monstercat. A decade ago, U2 put on a live virtual performance in Second Life, which also saw a concert from the Royal Liverpool Philharmonic Orchestra and an attendable livestream of BBC Radio 1’s One Big Weekend in 2007 and 2006, respectively. While Fortnite’s world isn’t as expansive as Second Life’s or Minecraft’s, and doesn’t allow the same build-your-own-virtual-life freedom, it has a massive 125 million players — and this is likely not the last time developer Epic Games will put on a virtual event featuring real celebrities to draw in even more.